When it comes to laptop-tablet hybrids, there are a number of choices in the market today. But which ones are better suited for you? To ascertain that, you will have to narrow down your requirements. Are you looking for media and performance? If yes, then there are options from a variety of manufacturers, mostly Android. However, if you want something for work and heavy tasks on the go, then you can look at the options from Microsoft. In addition to offering good value for your money and offering a tablet-like experience, these devices can also function as full blown laptops. The upside with Android offerings is that these devices come in a myriad of shapes and sizes, and with varying price points, letting you pick the best one suited for your budget. Keeping this in mind, we’re going to discuss two devices here – the Samsung Galaxy Tab S3 and the Microsoft Surface Pro 4. Both devices were launched recently, so you’re getting the very best in terms of hardware as well as software. In many ways, you can’t go wrong with either offering, and it all comes down to personal preference. The Samsung Galaxy Tab S3 comes with a 9.7-inch display on board, featuring a resolution of 2048 x 1536, which is pretty identical to the Apple iPad lineup. The real highlight here is that the device uses a Super AMOLED panel, offering you the best in terms of picture quality. The blacks will be deeper on this one while being incredibly battery efficient as well. The Surface Pro 4 comes with a slightly larger 12.3-inch display featuring a resolution of 2736 x 1824 pixels. Naturally, since the Surface Pro 4 is relatively bigger, the resolution had to be bumped up as well. However, the Galaxy Tab S3 will have a marginally better pixel density owing to the smaller size. Cameras are traditionally not the most sought after features in a tablet. However, manufacturers have been keen on enhancing almost every aspect of the tablet experience, including the cameras. The Surface Pro 4 comes with an 8-megapixel rear camera which isn’t high end by any means but will still get the job done. The front comes with a 5-megapixel sensor, which should be ample for selfies and video chats. The Galaxy Tab S3 comes with a 13-megapixel rear camera and a 5-megapixel front camera. Since it’s running Android, one can expect there to be a couple of handy camera tricks to enhance your experience. As these are tablets, one can’t expect smartphone like camera experience from them. However, if you’re looking for some casual photographs and videos, these two tablets will get the job done easily. 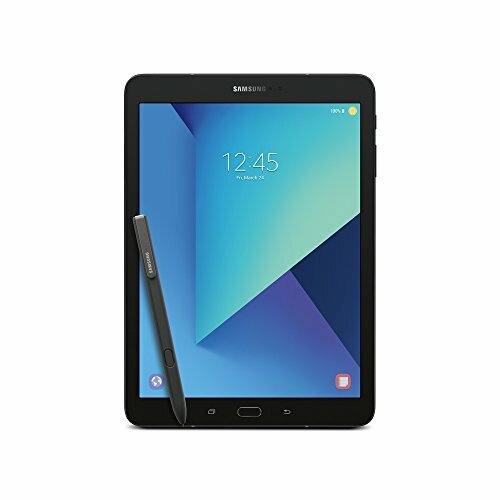 The Samsung Galaxy Tab S3 is equipped with the quad-core Snapdragon 820 SoC which has been used in a number of 2016 and even some 2017 flagships. So you know you’re getting the best in terms of performance. The Snapdragon 820 comes with four Kryo cores (2+2) clocked at 2.15 GHz and 1.6 GHz respectively. This is coupled with the Adreno 530 GPU, assuring you buttery smooth functioning. There’s 4GB of RAM as well, so apps are ensured to run fluidly without much lag. Since multitasking is one of the key aspects here, Samsung has bundled the device with the appropriate hardware. The Surface Pro 4 comes with desktop level processing power thanks to the Intel Core i5 processor. The clock-speed hasn’t been specified by Microsoft, but one can be assured of getting the best in the business here. Much like the Galaxy Tab S3, the Surface Pro 4 also comes with 4GB of RAM. However, there are other variants with a slightly higher price tag that come with up to 16GB of RAM, which is worth a look if you’re a power user. The Surface Pro 4 promises to offer 9 hours of battery on a full charge. However, this is the average battery life, so you should consider yourself lucky if you get 7 hours of usage on a full charge. Considering that this is a tablet, eking out 7 hours of usage is pretty incredible. 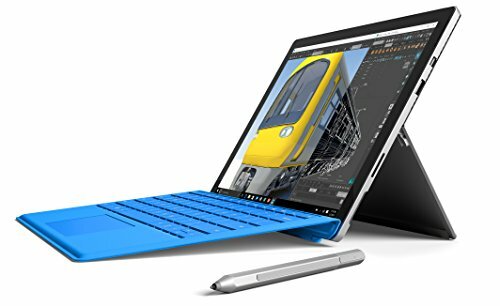 Microsoft sells a keyboard cover designed specifically for the Surface Pro 4 (bought separately), which turns this into a full-blown notebook. So considering all these aspects, the battery life mentioned by the company is pretty amazing. The Galaxy Tab S3 comes with a 6,000mAh battery under the hood. Samsung mentions that the tablet can last up to 12 hours while playing videos continuously, thanks to the Super AMOLED display on board. 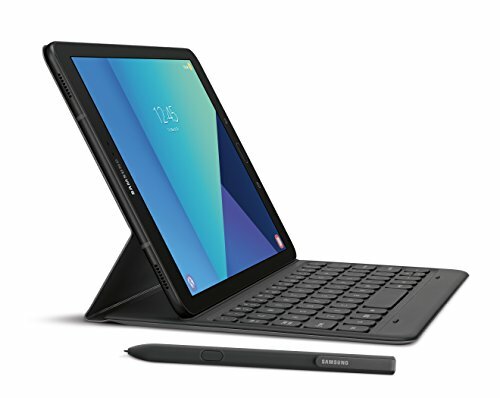 Charging up the tablet isn’t much of a concern either thanks to Samsung’s adaptive charging tech, which charges the tablet from 0 to 100% in just 3 hours. Both the Galaxy Tab S3 and the Surface Pro 4 come with capacitive styluses, known as the S Pen and the Surface Pen respectively. Samsung also supplies a keyboard cover, which has to be bought separately. So both the Surface Pro 4 and the Galaxy Tab S3 are capable of functioning as notebook replacements. The Galaxy Tab S3 is priced at $597.99 comes with 32GB of onboard storage which can further be expanded with the help of a microSD card. The Surface Pro 4 comes with 128GB of storage and a myriad of storage options including microSD and a full sized USB port. So in terms of connectivity, the Surface Pro 4 is leaps and bounds ahead of the Galaxy Tab S3. You will have to shell out $729 for the Microsoft offering, which is slightly higher but justified considering the price tag. Microsoft is using its proprietary Windows 10 Pro operating system with the device whereas the Galaxy Tab S3 comes equipped with Android 7.0 Nougat. Ultimately, we feel it comes down to what you want from your tablet. As mentioned above, the Surface Pro 4 offers a complete package in terms of hardware and software. If you’re a blogger like me and want to get a lot of work done on the go, the Surface Pro 4 is meant for you. That’s not to say that you can’t achieve all these things with the Galaxy Tab S3. It’s just that the Surface Pro 4 looks a better product, on paper anyway. The Galaxy Tab S3, though, with its slightly smaller exterior appeals to a different set of customers. Despite the slender exterior, in comparison with the Galaxy Tab S3, the Surface Pro 4 is slightly bigger and heavier. So if you’re looking for a light tablet that you can carry around easily, the Galaxy Tab S3 is surely the best you can do right now. There’s no doubt that these two are currently the most attractive tablets you can get in the Android and Windows segment respectively. So frankly, you can’t go wrong with either of them. So be sure to have a detailed look at both the tablets and all their models/variants from Amazon.